This hatch chile bread is something to cheer about on any day of the year. I have The Hatch Chile Store to thank for the deliver of hatch chile. If you have missed the window of time during which you can buy freshly roasted Hatch chile at roadside stands and markets, or if you are not lucky enough to live in a region where Hatch chile is abundant, then check out The Hatch Chile Store. Green chile, red chile and chile powder are among the offerings on their website. 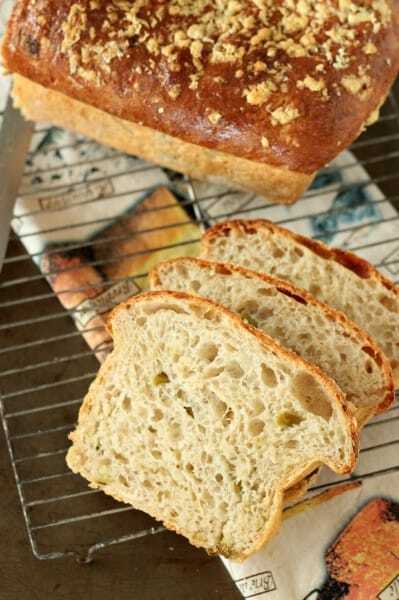 The recipe for this bread is the Cheddar Jalapeno Bread from Epicurious. I substituted Hatch chile for the jalapeno and doubled the amount of chile too. I really liked the bits of roasted green chile that liven up each slice of bread. 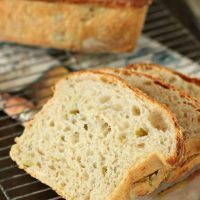 This recipe makes excellent sandwich bread, would be wonderful as grilled cheese and I may even pulse a few slices into bread crumbs for my Thanksgiving stuffing. The #BreadBakers recently shared our Thanksgiving breads with you and now we’re baking again to share ideas for National Homemade Bread Day. Yes, I know, you probably didn’t fill balloons with precious helium today and you did not likely jump out of bed ready to celebrate…but let’s just go with the idea of “eating homemade bread is really GOOD” and use this as an excuse to bake bread yet again this month! I looked around the internet and came across this site aptly named National Whatever Day which chronicles all of the daily celebrations many of us never knew we were missing. Even today, November 17th, offers more then just Homemade Bread as a reason to celebrate– National Unfriend Day, Prematurity Awareness Day, Take a Hike Day, and World Peace Day. Yup, don’t you love it when World Peace and Bread have something in common? This recipe belongs to Epicurious. I was provided with the chile free of charge but not obligated to blog about my experience with the chile. Please note that some items from The Hatch Chile Store are not presently available and deliveries will begin again next chile season. All opinions are my own. I hope you enjoy our love of bread just as much as we do on this National Homemade Bread Day as you browse through these recipes! Is it just me, or does the Epicurious link lead to a blank page for everyone? This recipe sounds great, but I’m unable to get to it from here, or find it by googling. Gosh, I am so sorry you had trouble clicking through. 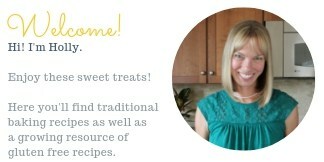 I have taken the hyperlink off the text and just added the full web address of the recipe. Let me know if you are still having trouble and I can email it to you. Thanks for letting me know! Awesomeness! Now I have a bread to bake using the hatch chiles I got from The Hatch Chile Store. Oh how I love those hatch chiles too! Yes, aren’t their chile wonderful! I have been making chili, enchiladas, bread and am looking forward to enjoying more throughout the winter. This is also my son’s birthday! Yep, 20 years ago today we officially became a couple. If that isn’t reason to celebrate, I don’t know what is. This bread looks like a great celebratory nibble. Yay! I hope it is a wonderful day for your son and your whole family. Is your kitchen unpacked enough for you to make a birthday dinner or will you enjoy eating out tonight? I love Hatch chilis!! Your bread looks lovely Holly. Thanks, Karen! There were beautiful breads shared this month! I do love Hatch chiles Holly; think I’ve still got some in the freezer; now to find the time to make this delicious bread! Can it really be November 17th? I hope you do still have some Barb, the season for chile goes so quickly it’s great to have some frozen. No, I cannot believe it is November, let alone the 17th already! It still feels like the kids just started school and that was 3 months ago!! Look at all those nooks and crannies to hold your favorite spread. What would you recommend, Holly? Hi Cindy, Oh I can never turn down bread with soft butter but this chile bread was also great as a grilled cheese sandwich. This looks like the perfect moist bread for a sandwich. I love the chile. Yum!! We have a lot of those roadside Chile stands here too, so great use for them. Is there a heat to this bread? Well, now I know what hatch chiles are! And of course, I’ll have to get some… Beautiful bread, Holly. I made version of this for the holiday, it was a big hit. 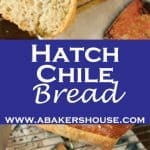 I’ve used Hatch chile in my bread a number of times (it grows in my home state, New Mexico) as we get it fresh each season when it’s roasted. Incredible taste, but can be HOT! I made this recipe last night, from the Epicurious website. It turned out a super delicious bread. My family LOVED it! I was curious about a couple of things. When I made it, the dough was super duper gloppy and wet. It turned out a LOT of dough that nearly occupied up to the rim of my 9.25 x 4.5 loaf pan. It rose above it in less than 1 hour and mushroomed over the sides. So much so, that when it was time to crisp the bottom, the thing could not stay on its side. 😀 Was that your experience also? I ended up putting in at least 1 more cup of flour just to be able to handle the thing. Hi Ivette, I am glad your family enjoyed this bread! No, I didn’t have that experience with the dough rising so quickly but yeast reacts differently in every climate and altitude. It sounds like you rescued the dough and turned it in to a lovely loaf. Well done!